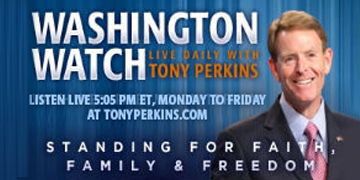 On Tuesday's edition of "Washington Watch with Tony Perkins", FRC Executive Vice President, Lt. Gen. (Ret.) Jerry Boykin, joins Tony to give his analysis on military readiness in President-elect Trump’s 100-day plan, and what changes he’ll need to make to achieve that. FRC's Vice President of Government Affairs, David Christensen, joins Tony to discuss the House leadership votes that occurred today. Also, Bishop Wellington Boone joins Tony to discuss his new book Black Self-Genocide: What Black Lives Matter Won’t Say.